Today, was a lovely day :) I went to a vintage shop, Hariz Vintage in Publika just before a lunch date with kneok. I haven't been there for quite a while so I was just looking around and kneok was snapping some photos of the items I liked. I love being surrounded by items which have stories behind them. As I was walking and looking around I found a treasure! A real gem! A poster of one of my favourite ever paintings by the great Salvador Dali. I smiled the biggest smile and told kneok I just had to have it! I was so excited I felt like jumping before realizing that I couldn't. (I'm recovering from a 4-wisdom teeth surgery and a sprained ankle as I fell down the stairs but I'm getting much much better). The simplest thing that I love can bring so much joy!!! I'm sure you know that feeling when you were just browsing through and window shopping and suddenly you found something that you really love and couldn't resist buying?? Yes, I was feeling exactly that! I blogged about the painting when I just started to blog 6 years ago. See my 2009 post : Persistence of Memory. This is what Iove about going to shops like this. You don't know what to expect. Suddenly, you might be surprised by finding things that only you would love so much! An attached memory, or something bringing you back to your childhood. Of course, sometimes you won't find anything you like, sometimes you will. 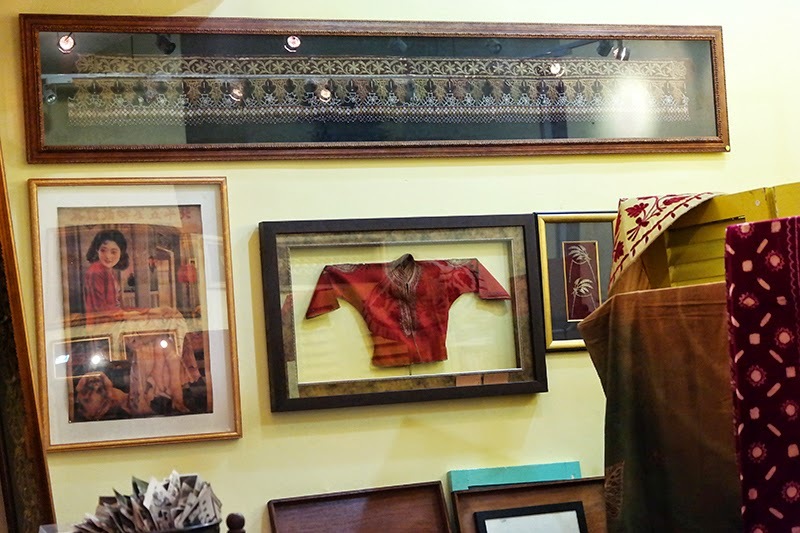 But looking through vintage stuffs and browsing them brings us back to a different time, place and culture. It's really an amazing feeling which you can only experience when you do it. Some of you might know that I love and appreciate vintage items. You've seen me in vintage bags and outfits before, though I like to spice it up with new things, new outfits, different colours, to come up with a different look. One thing about vintage items is that 99% of the time you know no one else will have it. So to me, it adds a uniqueness that no money can buy. Some of us might not realise it, but even if we don't wear vintage items, we have actually been inspired by a vintage item or a vintage look at some point in time. and I'm not just talking about fashion. The arts. Movies, music, visual arts and theatres are all inspired by the cycle of timeless taste at some point or the other. In fashion, vintage looks make a comeback allll the time. It evolves. It returns. My mom always passes down to me items she wore more than 20 years ago. It's vintage and I love it because I get to play mix and match them together with my new fashion items. I like the fact that when I feel like I have nothing to wear, I can just go and rummage through my mother's wardrobe and get creative. It's a satisfaction when I get to find stuffs 20 years ago that I can still wear and still in fashion now. With what I am doing now with aere, I hope that the pieces will be a classic and maybe 20 to 100 years down the line people can still use it and call it a vintage aere item! Haha. My appreciation towards vintage items and antiques came from my dad. When I was little he would always bring me to different places selling antiques and vintage items. When we were travelling overseas, he will bring me to those places too. I love the feeling of finding something valuable for much much less. You know the value is very high and because you can't find it anywhere else or because of it's rarity, you know its very valuable but when you find a bargain you know you have to get it! Oh, by the way. 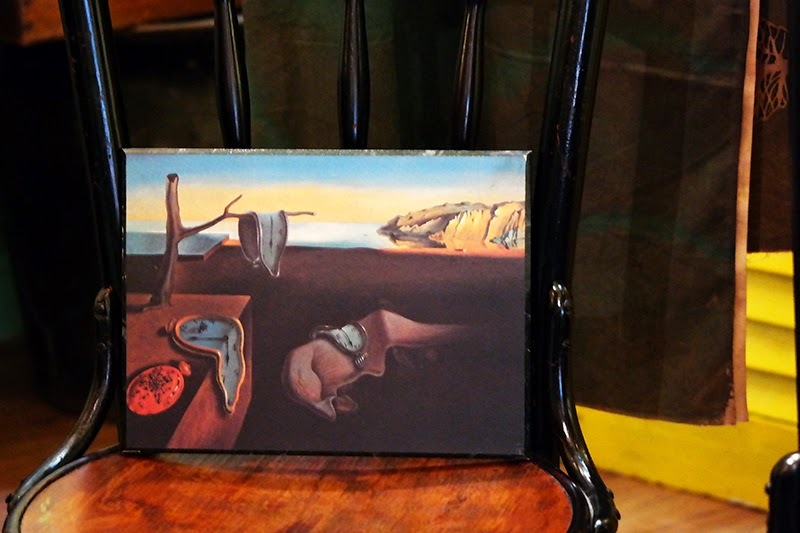 I got to purchase the Dali poster at a 50 percent discount because they're having a 50 percent discount off all items! I can't be more happier! What a bargain?! I'll surely drop by again before the sale at Hariz Vintage shop ends this 5th of May 2015. Hariz Vintage sells vintage and collectible items including framed old movie posters, European social posters, rare old photos, vintage furniture items, old wooden doors, vintage and old textiles (old Malay songket), old Malay sarong including batik sarong, batik lepas, vintage kebaya, art books and some decorative art. So if you are interested in culture, a vintage lover and appreciate the artsy side of this life go follow Hariz Vintage at Facebook to stay tuned for updates. In the meantime, go drop by an enjoy a 50 percent discount on all items as they are having a relocation sale! As for now, their address is Lot 24, Level G2, Publika Shopping Gallery, No.1, Jalan Dutamas 1, Solaris Dutamas, 50480 Kuala Lumpur, Malaysia. Email : harizvintage@gmail.com. Go check them out if you are at Publika KL.